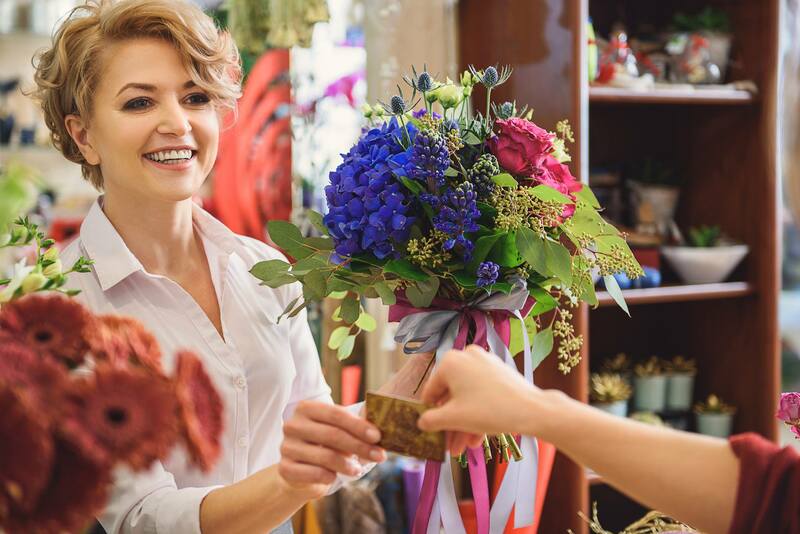 Florists and flower shop business owners depend on small business loans and various forms of working capital to run their business operations smoothly. To keep things going right, it takes them creativity, hard work and finances. Right from store overhead to selecting the best employees, florists need to be prepared because costs fluctuate for floral supplies. Hence, it is important to gain an edge on bigger brands that are in competition. As per the reports, total sales for floral management business in USA has topped up tremendously in recent years. Also, it has been observed that the sales grow exponentially during national holidays. Besides, customers even wait until the last minute to purchase their order. Corporate gifts and cut flowers gather the most sales. How merchant services with the floral business? Well, the reason is quite simple. As majority of sales happen via credit and debit cards, these services make sense. Calling in an order of flowers and getting then delivered to special ones is something everyone loves. Hence, many florists have their own e-commerce websites that allow customers place online order anytime they want. This renewable supply of funds help businesses share good terms with vendors. Running a floral business is quite challenging for home-based floral providers and small corner store owners. Taking out time to focus on paperwork, running the reports and tracking down references is not convenient. However, with these services, getting the process started is possible through a quick phone call. Service providers visit the shop owner through application instantly and complete everything related to tracking down the funds. Advantage of merchant cash advance for florists is that bad credit history is not considered. Instead, the program checks the eligibility that’s based on the current merchant credit card program sales. Risking the shops and other assets to get a loan is something many florists fear about. However, there are service providers who don’t ask for such useless things. However, they consider other factors which includes how long they have been in the business, currently the owner accepts card payment or not and the average monthly sales. As most of the business owners are associated with one or more vendor accounts, approval process is faster with merchant cash advance. Yes that’s true and funds can easily get available in 48 hours or even less from the application. Merchant cash advance enable to repay over time in small increments. It is repaid as future credit card payments are processed. There is no need to think how the money will be repaid as a small percentage of each payment is sent in. During the slower seasons, this is quite a flexible option. Based on the sales volume, loan as much as needed and apply for more funds. Owing to the multiple benefits of florist merchant services, it is good to started with these services today. There are support services for every stage of floral business. Taking the small and limited flower shop to immense success and popularity is easy and assured with merchant services.